Looking For A New or Used Mazda Engine? Essentially the most troublesome issues with seeking Mazda spares in SA would be the search for used Mazda engines for sale. Because there are 100’s of scrap yard organizations available, it might not be smart to contact all of them to compare when you’re pressed for time. Our company knows the necessity of needing a trustworthy car motor in a short amount of time. If inexpensive pricing, reliability, and time are your top concerns, then we can offer the remedy for you. Only ring us or complete the form on our website and our network will email you promptly should they have stock of your desired Mazda engine. looking for a complete new or secondhand engine on a Mazda B25 2500 4x4 Turbo, in the Johannesburg area. 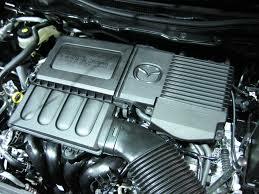 looking for a complete Mazda WLT 3.6 engine 2nd hand or new in the Randfontein area. looking for a complete engine new or secondhand on a Mazda 2 liter 1994 year model, and a aethalometer in the Johannesburg area. looking for a Mazda 1.6 Z6 cylinder head, 2006 year model, in the Johannesburg area. In-ported engine for a Mazda 2.5 Diesel, 2003 year model, looking for a complete engine. following engines will also work: Mazda 626, SE, FS, current engine is a FS. I am looking for a complete engine for a Mazda Soho, 1.3, 1996 model, 1F004233. Cape own, Mazda Astina, 1998 model, 1,8, looking for a complete engine. I am looking for a complete engine for a Mazda 3. 1.6, 2009 model, Z6. 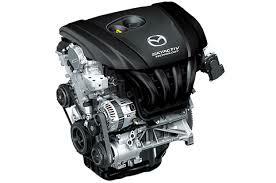 I need a used engine for a 2007 Mazda 3, I am situated in Greytown, please call back with price and availability. I need an engine for a Mazda 3, 1.6, I am situated in Bloemfontein, please call back with price and availability. I am looking for a complete engine for a Mazda Rotary 13B. I am looking for an oil pump for a Mazda Truck, T3000, 1986 model. I need prices on both a completed engine and a sub-assembly for a 2006 Mazda 3, 1.6, I am situated in Pretoria, please call back asap with price and availability. Your urgent respose will be highly appreciated. I am looking for a seal pressure regulator for a Mazda Etude, 1.6, 2002 model, ZM47211. I am looking for a complete engine, Mazda B6, 1.6. I need spare parts for a 2000 Mazda Drifter, will discuss what parts are needed when call is returned. I am looking for a Ford Focus 1.6 Engine. Please I need Mazda 6 car engine. I will like to know the prices for both new and fairly used one. Hi I am looking for a 2.0L Mazda 6 Atenza engine complete, second hand 2002 model. I'm looking for a Mazda 6;2.5L engine. (Could be secondhand or New) year model is 2008. I am looking for a complete engine for a Mazda 3.2, 4x4, 2012 model, BT50. Hi I am looking for a Mazda b3 engine for my Ford laser. Can you kindly send me a quote? I am looking for engine for Mazda 2 model 2010, please help me. I am looking for a complete engine for a Mazda Etude 1.6, 2000 model. I am looking for a complete engine for a Mazda Drifter 2.5, WL, 2005 model. Im looking for mazda BT50 3.2 turbo diesel , 5 cylinder engine. It’s terrible if somebody bumps into our Mazda, or as it does not run as efficiently as it should. Regardless of what the case, one certain thing is you can get the automobile back in good condition. All you need to accomplish is to replace the accident damaged components with great used parts rather than purchasing a new automobile. Commonly, when an Mazda engine part really needs exchanging, lots of people usually ponder replacing the full Mazda engine rather then ordering individual components. Buying a new one has been always expensive since these new Mazda engines will usually burn your bank account. There exists, however, a more economical alternative – buying used car motors. The issue is, you have to find one, that is produced by the very same producer, originates from identical version and the identical year of manufacture to help make your car or truck retrieve its aged and gold days. There’s an excellent chance to get a 2nd hand Mazda engine that’s completely new in condition. Simply because suppliers sell Mazda engines of cars ruined in incidents which are still in working condition. Generally, you will find a car that was slightly used and definately will include the original components since it is nevertheless new. Additionally, trustworthy vehicle wreckers will test the Mazda engines to verify that they were not damaged and so are in impeccable status ahead of selling them in the market industry. Pre-owned car Mazda engines always have popular demand amongst the people who find themselves looking to get his or her car back on the highway as soon as possible. The reason being everyone wants to avoid spending a ton of money over a new car. In addition, they can be able to economize up to 50% by buying the used components devoid of sacrificing on overall performance, safety and handling. Second-hand Mazda engines also assist you by taking care of your warranty factor. You can get yourself between 6 months to 2 years of assurance on 2nd hand motors for sale. The demanding job of finding a matching automobile used component for sale can be done fairly quickly by taking help from our on-line form which promptly connects people to our group of junk yards. We’ll check your requirements and help you find the auto parts easily and quickly. A nearby vehicle part dealer or seller will be prepared to deliver to your property. 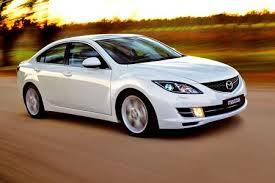 An additional benefit of buying a second hand automobile Mazda engine is you can find very good prices. Being a buyer who will try to find the best quotation by assessing the costs from different businesses. You can actually refer to the user manual furnished with your automobile to determine the exact descriptions of your automobile part. It is going to keep you informed by giving you helpful information for your car-parts criteria. Engine Finder can help you find some good deals on Mazda engines for sale. There exists a large network of scrap yards who sell cylinder heads, gearboxes, radiators, turbo units and alternators plus more at great deals. Engine breakdown isn’t any good news. But not just is your Mazda downright unusable – which means that you will have to use trains and buses or find a ride with someone you know to get to the place where you will need to go – but working out what’s wrong along with rectifying the problem can be quite tough. There’s a great number of symptoms that might be there, for instance backfiring or overheating, however the reason is difficult to pinpoint should you not know your path about motors. What Might Be the Trouble? Think of the “check engine” light not as a death omen, but instead as a possible sign that some thing demands replacement. Your vehicular computer can find any of the following issues. For turning car parts to perform thoroughly, oil will have to be present to grease the area. In the event that oil is not present, components will rub with each other, deteriorate, as well as high temperatures. So, receiving a regular oil replacement is extremely important for the performing of one’s vehicle. In the event that engine oil volumes get diminished or just isn’t swapped out frequently enough, the actual engine could overheat and stop functioning stemming from significant amounts of rubbing. Whenever the oil has got the completely wrong consistency, it may cause issues to the pump that moves oil over the Mazda engine. This could set off an issue known as oil starvation, which ends up in serious engine breakdowns. This pump provides oil needed to oil your entire engine whilst it operates. Normally, the moment the oil light is illuminated, it’s just a alert that your oil pressure is too low. Oil must be of a appropriate viscosity, which means it must be light enough to move easily. Oil also can gather and leave deposits on ignition chambers, intake valves and spark plugs. Additionally, it may breakdown a car’s bearings any time foreign matter ends up being set on the area. A congested oil filter can trigger major harm to any engine and also decrease your Mazda’s fuel efficiency. Small and yet serious, a spark plug is what makes the vehicle move. It ignites pressurized fuel by transferring electrical power from the spark plug’s end towards the electrode within the engine. While spark plugs are designed to work for thousands and thousands of miles, many will often need replacing quickly. This will make the motor to mis-fire or thwart ignition completely. One bad spark plug increases the pollution levels in your Mazda and decreases it’s gas mileage. A engine knock, otherwise known as a detonation, is actually a sort of combustion that occurs when you will find high heat and pressure within the engine’s combustion chamber. During these moments, you have to be capable to audibly hear a metallic knocking or pinging noise. A bit of detonation usually won’t contribute to significant damages, but heavy knocks or extended detonation causes major destruction of your spare parts. It is not a predicament in most modern day engines that are well-maintained, however ill kept engines may experience this issue. Defective or malfunctioning oxygen sensor. This is actually a electronic device that processes the oxygen levels which are burning up in the exhaust system. This is afterward translated into details about petrol usage plus appears on your dash as being the gasoline gauge. In case your vehicle is running out of gasoline whether or not the gasoline meter states that you’re half-full, you could be suffering from an matter with the o2 indicator inside your engine. Typically, that leads to decreased gasoline consumption. Together fuel and also air needs to be pressurized for the engine to function properly and make power. There are a few aspects that will bring about lousy compression including a opening within the cylinder, an air leak, an insufficiently closed valve or worn piston rings. If the engine is continually over heating, you could be encountering coolant loss. Automobile engines utilize coolant as a general constant source of heat reduction, and losing the fluid brings about intense heats. Old or filthy coolant is considered the most general grounds for a congested radiator and will induce multiple conditions. This may result in the radiator to fill up with deposited elements from the coolant, which may trigger ones motor to overheat. Loose or absent petrol lid. One of the most simple vehicle associated problems to address is actually a wobbly or lost fuel cap. A wobbly or absent gas cap causes gasoline to evaporate of your vehicle, bringing down its fuel economy and costing you possibly thousands of rands. In case you are realizing that gas is used up significantly before it should, you might like to buy a brand-new fuel cap. If you feel you have an engine problem, it is important that you talk with a auto technician. Whatever you may think is awry it’s essential that you call a vehicle repair specialist. With the previously mentioned info provides you with a perspective to discover exactly why your engine is not working. If you do wish to swap your engine, then allow us to help you to get rates from our big group of scrap yards in SA.